Cozy season is upon us. 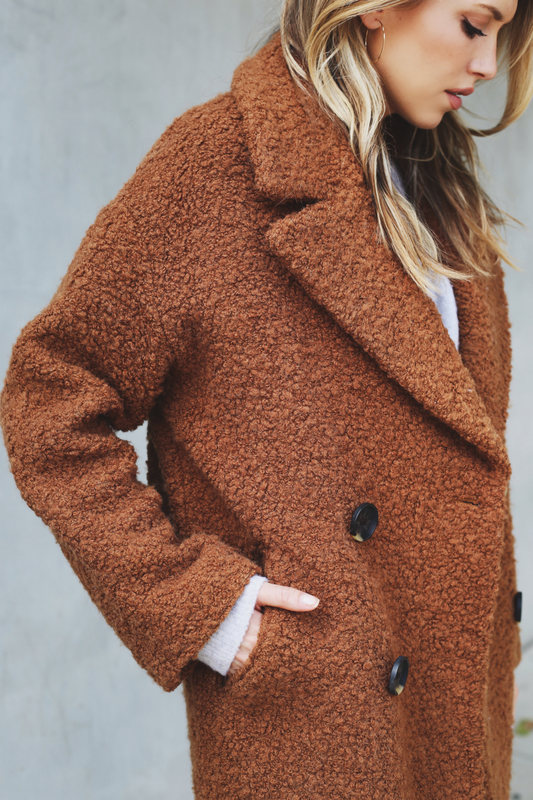 Finally temperatures have lowered in Los Angeles, and you can actually throw on an extra layer, hence me snuggling up in this cinnamon teddy coat. Autumnal vibes are in full effect! I also worked in the white boot trend to make the outfit feel a little cooler. This version is a luxe buy, but I am loving this affordable version. Tonight's agenda is cooking up a storm with a menu of my mom's chili recipe with warm cornbread and apple crisp for dessert! How is that for Fall?